Mookie came to visit me on Monday and we got talking about the way we feel about being bloggers in our 40s. Plus size blogging is still a relatively niche interest in the blogging world (although growing by the day) and plus size bloggers over 40 are in the minority within that. There is a vibrant blogging scene in the UK and we are lucky to know other plus size 40+ bloggers who bring their fierce to the table and we want to create an alliance to enhance that. We also know there's an audience out there for plus size blog readers in this age group, who are often under-represented in an industry saturated with bloggers in their 20s and 30s. There's a wealth of accumulated experience from bloggers of a certain age, and we think that should be celebrated. Mookie and I are women with no intention of slipping meekly into old age and beige polyester, and we want to carve a path for like minded souls. Wanting change isn't enough - sometimes you have to smash down walls with your bare fists and be the change you want to see - and this is what Mookie and I set out to do. We want to give a voice to people like us and amplify what's already there. If there's a lack of representation it's in our hands to force it. One voice gets lost in the din, but a dozen together is a thing of beauty. A hundred can change the world. Never underestimate your power. Grab that fucker and run with it! Everyone aged over 40 who's plus size. Yes, including men. Where ever you are in the world, make yourself known. (If your 40th birthday is coming up within the next 6 months or so, shoot us an email and you'll go on our reserve list - or just yell 'Let me in!' when it's your 40th birthday). A monthly fashion challenge on the 2nd Friday of every month where plus size bloggers who are over 40 do a themed outfit post. (Participants can contribute ideas to these posts). To share a selection of your posts on our social media when you use the #plus40fabulous hashtag. To take guest posts from non bloggers who are plus size and over 40, which will be posted alternately on my blog and Mookie's. If you want to join in with the fashion posts, email us at plus40fabulous@gmail.com. We need to keep all correspondence there so it's easier to organise. Use the hashtags on your social media posts if you're 40+ and plus size (not just fashion posts). 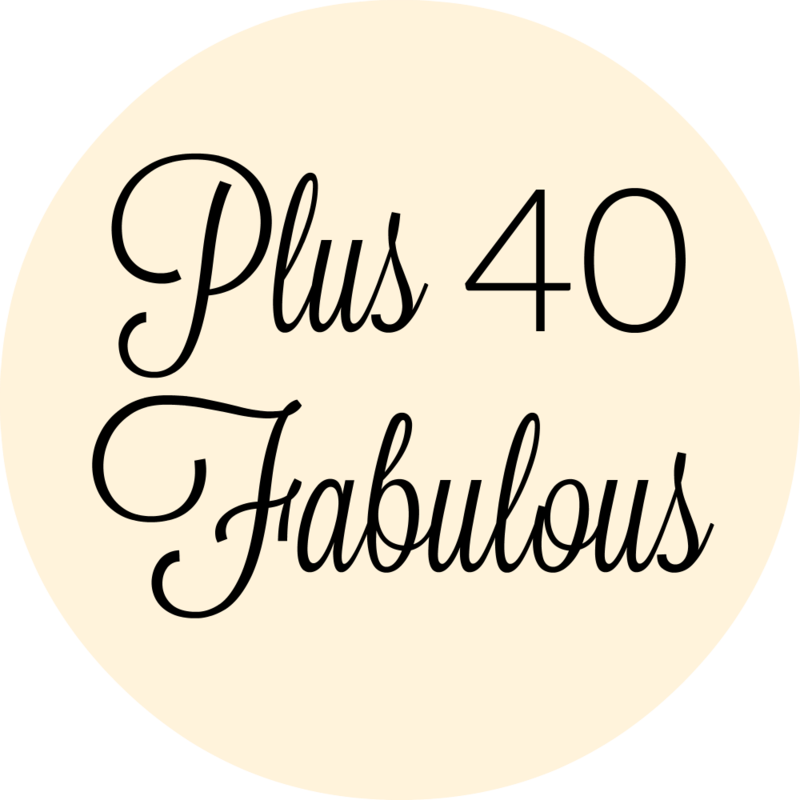 Non bloggers - pitch ideas for guest posts if you don't have a blog at plus40fabulous@gmail.com. Feel free to spread the word! We don't want to cause offence by approaching people who may not yet be 40 (you know how we're sensitive to things like this) so by all means tell your friends.